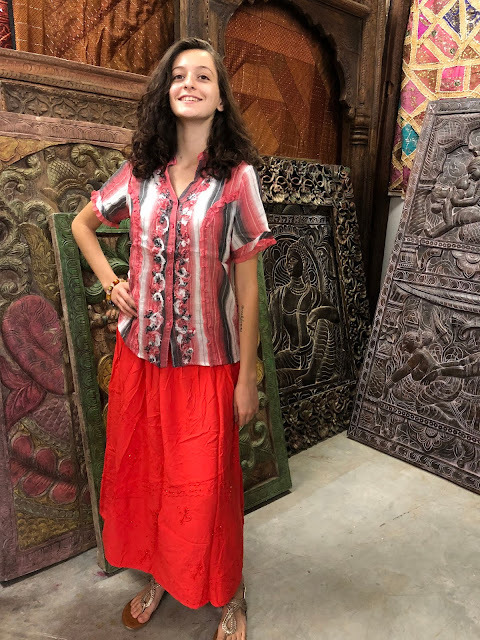 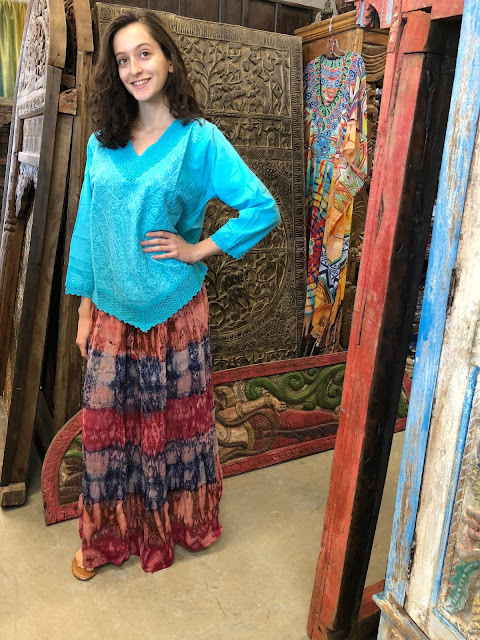 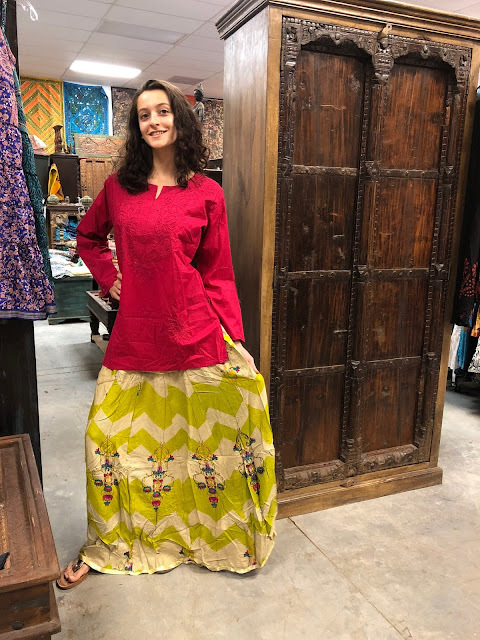 Skirts with a bohemian spirit, mix and match styles, wrap around sarongs to gypsy flared skirts, casual chic or urban fashionista Endless options in colors and styles, unusual prints, unique boldly colored flared gypsy skirt with a neutral top, accessorize at the waist with a cute belt. 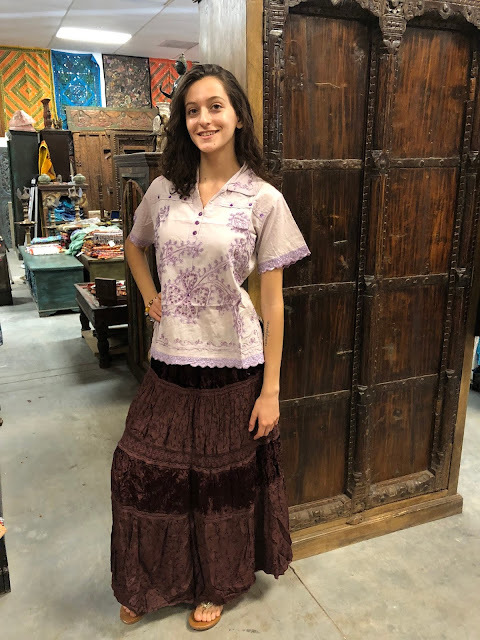 Try the divided skirts with chunky heels with a crop top for the daring you. 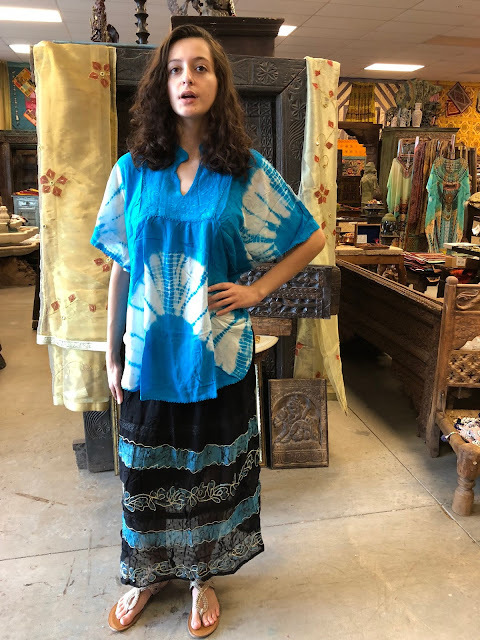 Perfect for your vacation because they go with all kinds of tops.